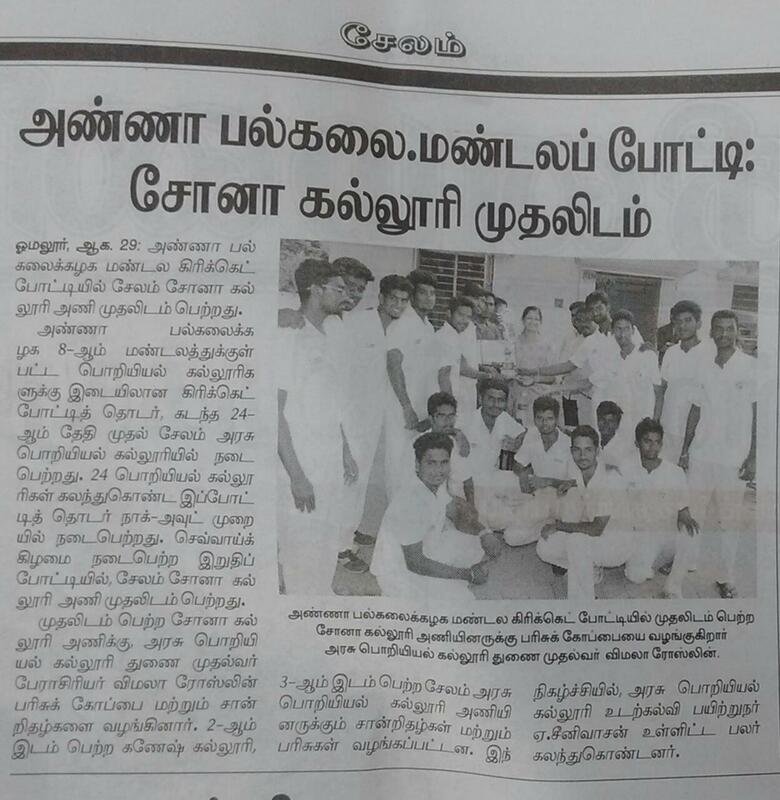 Trophy won by Sona Students at Anna University Zone Cricket tournament. 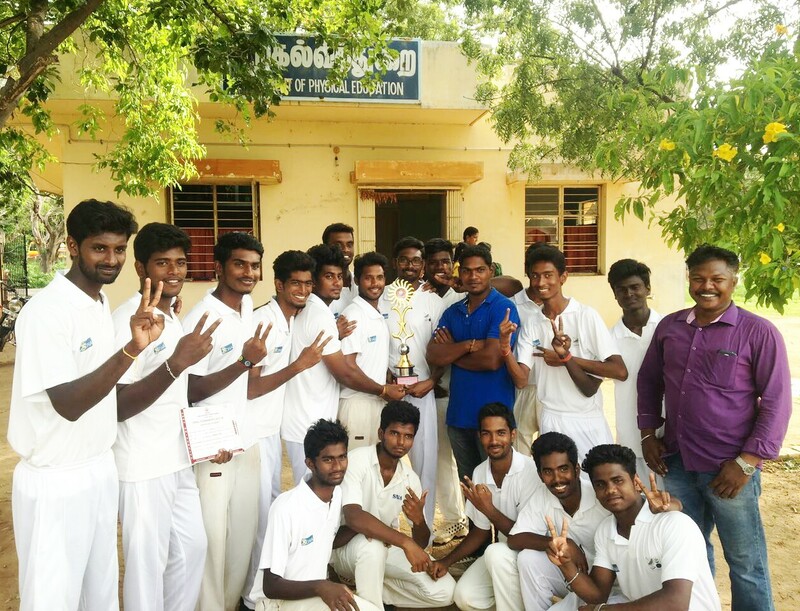 Sona College of Technology secured the Winners trophy in Anna University Zone Cricket tournament held at Govt college of engineering, Salem from 24th to 29th August 2017. 24 teams participated in the tournament.